Mexico is ranked 7th major destination for foreigner visitors, according to WTO. Mexico’s culture includes kind and warm people, unique food, art and archeology, pyramids, museums, and Haciendas. The country captures over 6,000 miles of shoreline, with world-top destinations such as Acapulco, Cancun, Cozumel, Los Cabos, and Patzcuaro. Today, Mexico has updated with their large 21st-century cities filled with superb architecture. 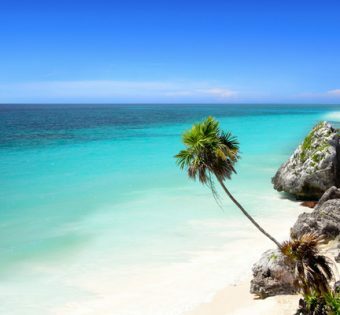 Outside of the big cities and white sandy beaches, Mexico has other extremes, from snow amongst The Sierra Mountains to the rainy jungles in the Southeast, or discover the deserts in the Northwest. Mexico is one of the most popular tourist countries on earth (over 20 million foreign visitors last year alone). Much of the tourist industry is centered around the beach resorts as well as the altiplano in the central part of the country. Visiting the northern interior allows visitors to get off the beaten path a bit. American tourists tend to predominate on the Baja peninsula and the more modernized beach resorts (Cancún and Puerto Vallarta), while European tourists congregate around the smaller resort areas in the south like Playa del Carmen and colonial towns San Cristóbal de las Casas. Mexico is a beautiful place filled with culture, history, and beauty just waiting to be explored.